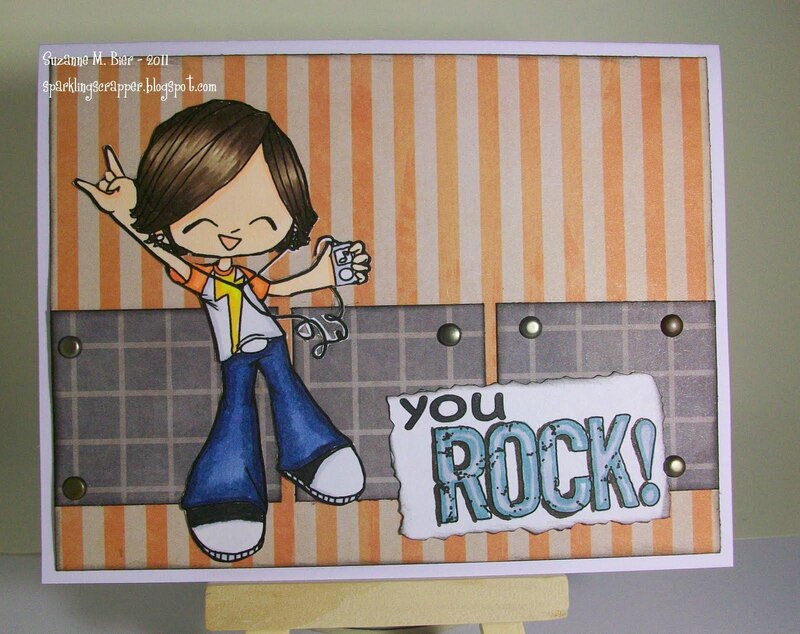 Some Odd Girl Digital Stamps: Clean & Simple Challenge! 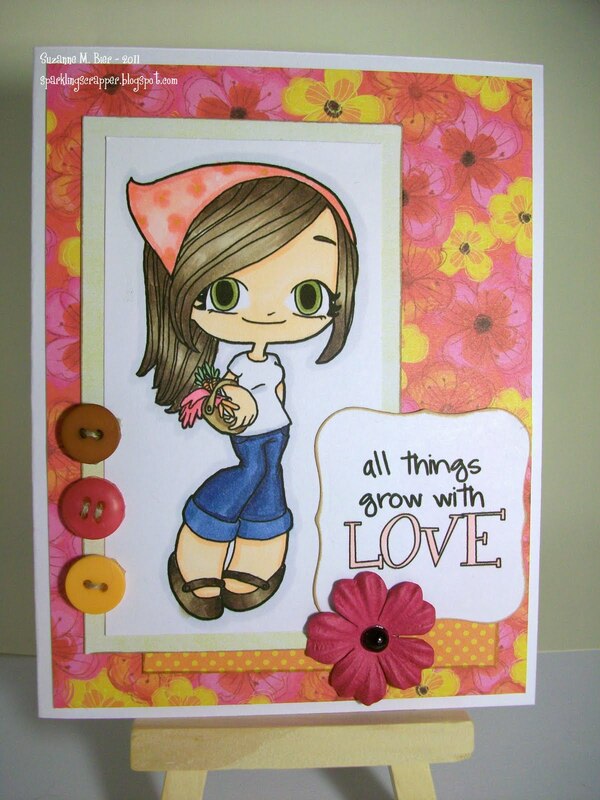 I’m very excited about the latest challenge over at Some Odd Girl Digital Stamps! It’s a “Clean & Simple” challenge, and that’s definitely my style! Other supplies: Paper (Fancy Pants), Copic markers, deckle edge scissors, metal brads. 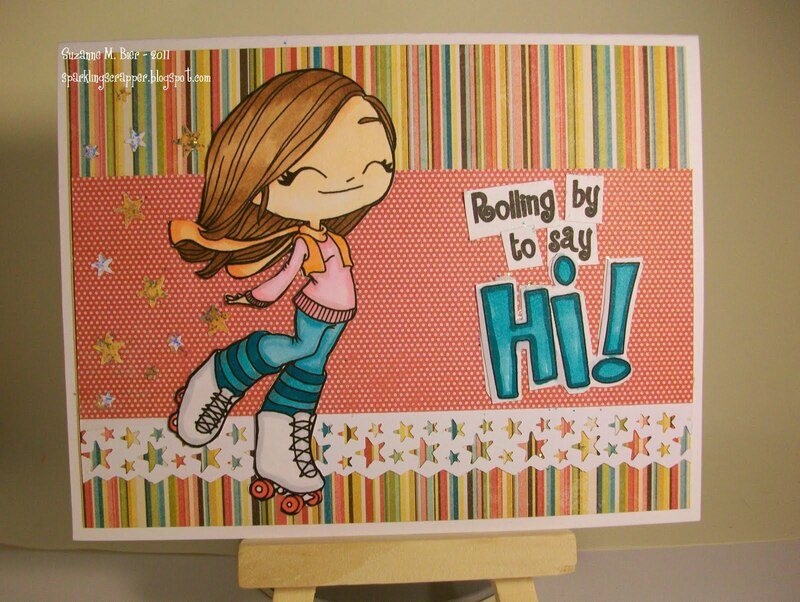 Other supplies: Paper (My Mind’s Eye), border punch (American Girl Crafts), Copic markers, Stickles. The third card, made with “Garden Mae” is kind of a bonus card, because I made it for a different challenge, but I’m happy with how it came out…so I wanted to share it with you! I typed the sentiments for all three cards, which is something I’ve done a lot of lately! Both Roller Mae and Garden Mae were flipped before they were printed so I could get them facing in the other direction. Other supplies: Paper (SEI), buttons, twine, paper flower, adhesive pearl, Copic markers. If you’d like to play along with the Some Odd Girl “Clean and Simple” challenge, there’s still time to get linked up! The contest runs until April 19 at midnight Eastern time. One lucky winner will receive 2 digis from the SOG shop! These are gorgeous Suzanne! I love your CAS cards! Seriously cool cards, love them all. Thanks for joining our challenge on Some Odd Girl.